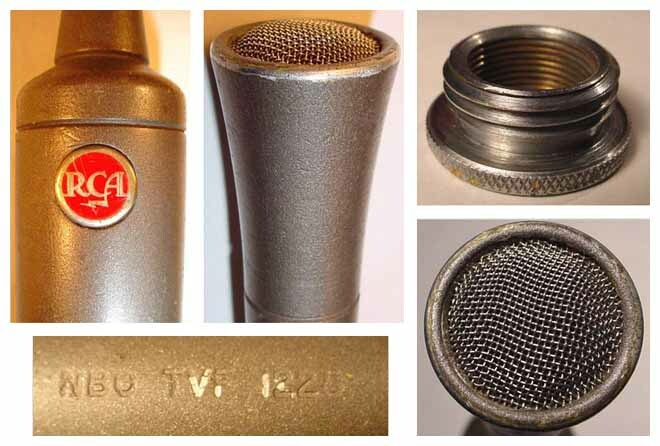 This particular mic went for $1,325 on eBay in March, 2004. 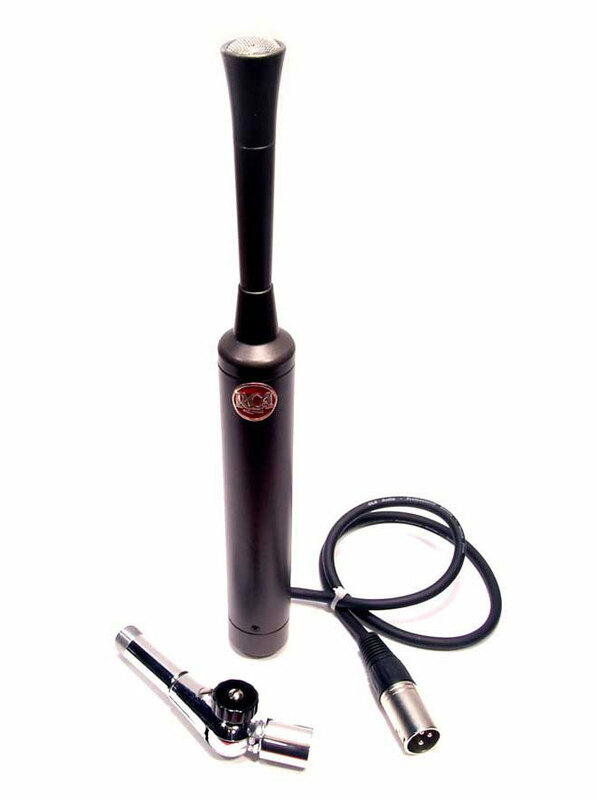 The Type BK-4A Starmaker Microphone is a high fidelity ribbon type pressure microphone especially designed for television work. Its small size and slender construction afford easy concealment or an unobstructed view of its user in close work. Its high sensitivity and smooth response over an extremely wide frequency range make it suitable for music and voice reproduction. It is non-directional and has a response which is essentially uniform from 70 to 15,000 cycles. 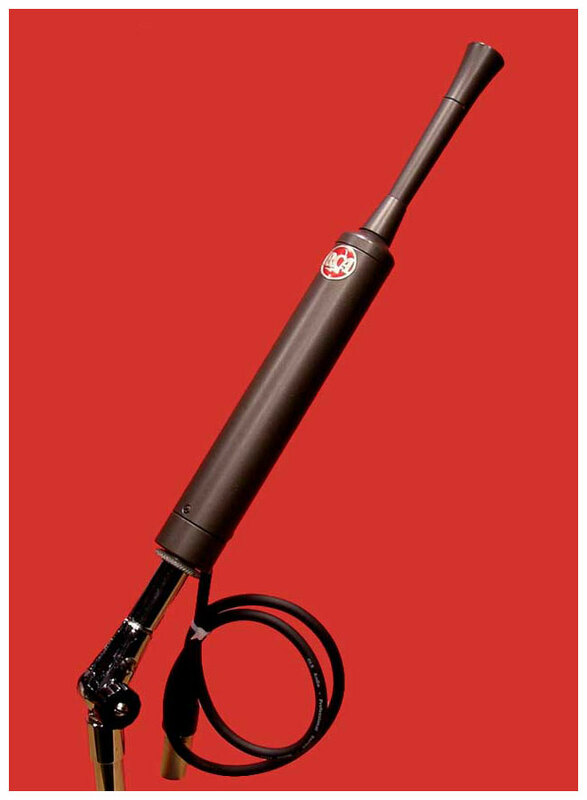 The microphone is remarkably insensitive to wind and mechanical shocks and its performance is unchanged by wide variations in temperature, humidity and barometric pressure. The movable element is a thin corrugated aluminum ribbon suspended between the poles of a strong alnico magnet. Connected to the back of the ribbon is a folded acoustically damped pipe designed to form an acoustic resistance termination for the moving system. 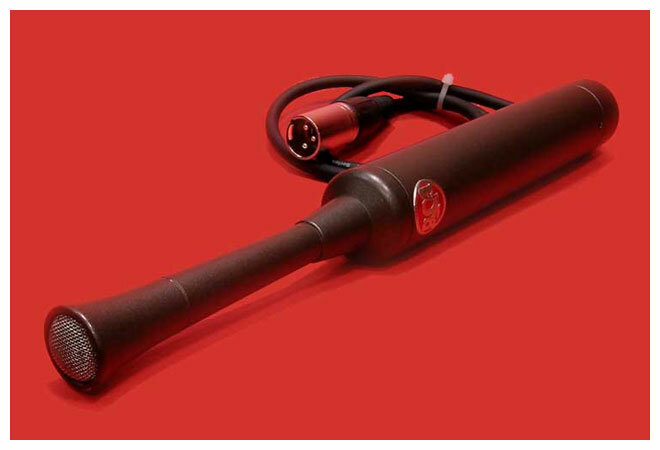 The magnet, ribbon and acoustic line are contained in the upper portion of the barrel and immediately below is a shielded transformer which provides output impedances (250, 150 or 30 ohms) suitable for use with microphone cables. 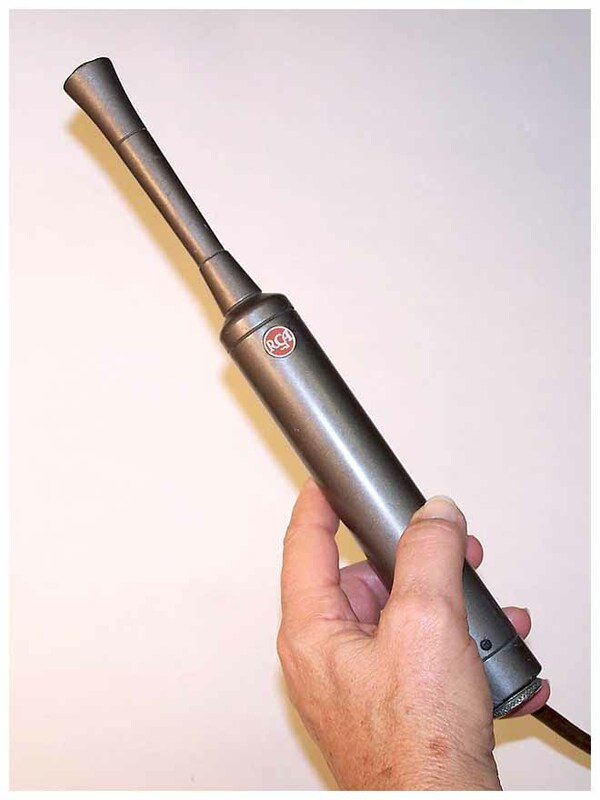 The cable anchorage and terminal board are located in the removable bottom portion of the microphone. The front of the ribbon is brought to the sound pickup point through a tubular section terminating in a short horn. 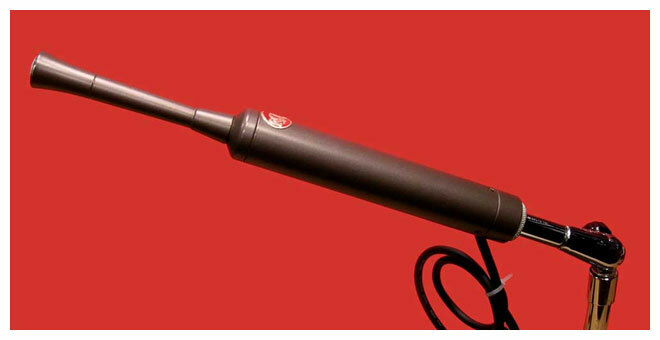 The microphone is finished in TV gray to minimize undesirable highlights. An advertisement in National Geographic magazine. Blackwood Brothers Gospel Quartet in 1955. 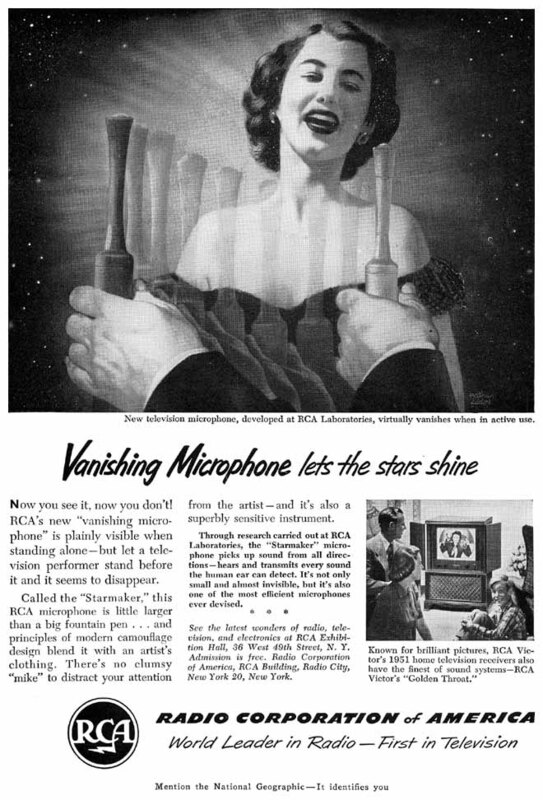 Besides the two RCA Type 77 mics, note the RCA Type BK-4A Starmaker hanging from above near the upper right corner. 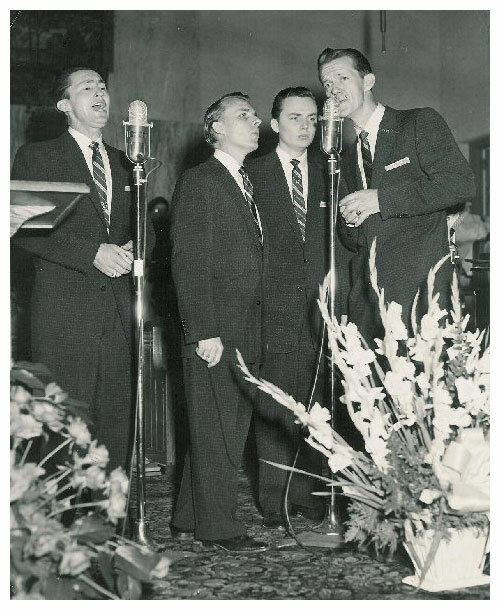 YouTube videos show this group performing Somebody Loves Me featuring J. D. Sumner, Cecil Blackwood, James Blackwood, Bill Shaw and Whitey Gleason, as well as He Bought My Soul at Calvary performed by Bill Lyles, R. W. Blackood, James Blackwood, Dan Huskey, and Jackie Marshall during 1951.